Jessa’s commitment to living an authentic, embodied life shines through as she offers what most deeply inspires and strengthens her own life. These offerings are rooted in direct experience and born of the intention to foster empowerment and growth. Jessa leads annual Sacred Womxn’s Retreats in Bali, which weave together evolutionary astrology, dance/organic movement, yoga, meditation, dream work, sacred ritual and ceremony, sharing, oracles and much more. The next retreat, March 20–27, 2020, will be Jessa’s 9th journey to Bali. The magic of the island is deep in her bones! Please feel free to read testimonials from past Bali retreat participants. 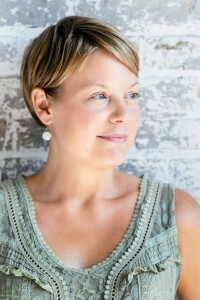 Jessa is also co-founder and former producer of the Minneapolis Yoga Conference. Jessa’s full list of credentials.